The Truchard Estate Vineyard encompasses 383 contiguous acres, of which 270 acres are planted. The vineyard is a series of hills and valleys, and contains a variety of soils: clay, shale, sandstone, volcanic rock and ash. The various combinations of terrain, geology, and marine-moderated temperatures provide unique wine growing conditions. Currently the vineyard grows 10 different grape varieties, making it one of the most diverse estate vineyards in California. 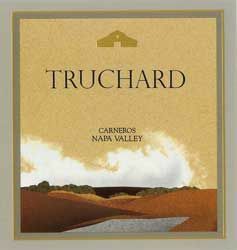 Only 20% of the grapes from the Truchard Estate Vineyard are reserved for Truchard wines. The wines are hand-crafted using traditional wine making techniques, and exemplify the high quality fruit of this unique estate. They are truly: "wines with a sense of place". Truchard wines have garnered much critical appreciation. Wines from the 1994, 1996, and 1997 vintages have been included in the Wine Spectator's Top 100 wines of the world. The winery was selected as the "Estate Winery of the Year" by Wine & Spirits in 1997 and 1998.